APARTMENTS TO RENT IN DUQUESA, SPAIN. Puerto de la Duquesa is in the municipality of Malaga and has been built around an attractive marina. It is on the Costa del Sol between Malaga and Gibraltar being closer to Gibraltar. To either side of the marina are two blue flag beaches that extend for miles and never get crowded even during the Spanish summer holidays in August. There is a promenade that stretches from Duquesa and runs the full length of Sabinillas along which there is a large selection of restaurants and bars with many authentic Spanish fish restaurants serving fish caught that day. Puerto de la Duquesa has a range of restaurants from take away pizza houses to high class french cuisine so there is something for all the family. In Puerto de la Duquesa there are a range of shops including a supermarket, butchers and a bank whilst in rearby Sabinillas there are three supermarkets and a large range of shops, bars and restaurants. Behind the marina and built around the hillside is La Duquesa golf club, a challenging 18 hole course designed by Robert Trent Jones. There are spectacular views from the golf course over the Mediterranean across to North Africa. Looking for self catering holiday accommodation in Duquesa? 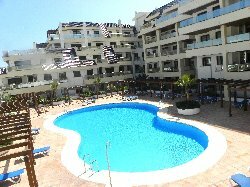 Then below is a selection of holiday apartments in Duquesa that can be rented direct from their owners. You can either click on each listing for further details or you can use our search engine on the left if you are looking for something in particular.